Each Aningri collection contributes to an individual organization doing good in the world (read more here). Ten percent of the proceeds from the Friction Collection will support the World Riders Foundation. 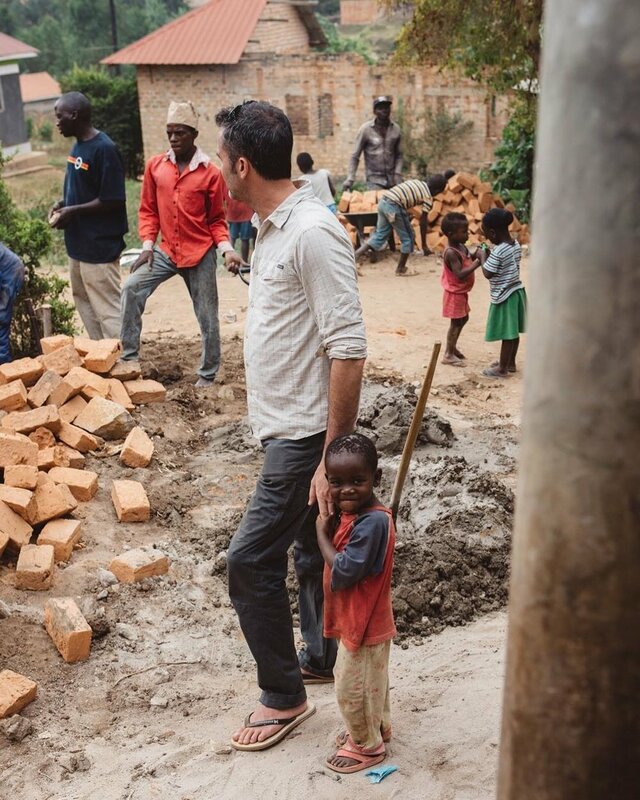 At first glance, Mike Haley is the kind of guy you might like to hate—I mean, he’s the kind of guy who builds schools in Africa—but the more you learn about what he’s doing, the more you just want to be a part of it all, help keep the momentum going. For one thing, he’s nice, which makes sense because he’s from Iowa. For another thing, Mike is no idealist. He gets things done, and he does things well. Really well. When I spoke with the ruggedly handsome motorcyclist a few weeks ago about the work he’s doing, he told me about riding solo on a motorcycle through Latin America, and the place where the whole idea for World Riders Foundation (WRF) came to life. "I was riding solo and had some scary events, and I thought, you know, I’d like to see some friendly faces." Mike started riding motorcycles when he was five years old. He's been doing long-term motorcycle trips since he was nineteen, and about ten years ago he did a South America ride, solo. Riding solo is a total adventure, but you're also pretty vulnerable (as I know). Mike told me that after a few scary experiences on the trip, he remembered that a friend had recommended he visit an orphanage in Mexico where his friend had done medical mission work. So he went and was welcomed with open arms. "I kinda sought refuge at an orphanage." Anyone who travels knows that refuge on the road is a precious thing, but what struck me about Mike is that he didn't just take refuge and move on. He dug in his heels and got to work, setting into motion an enterprise that will impact the lives of kids and the communities they live in far into the future. Mike told me that WRF invests in the local community by hiring local contractors and craftsmen. 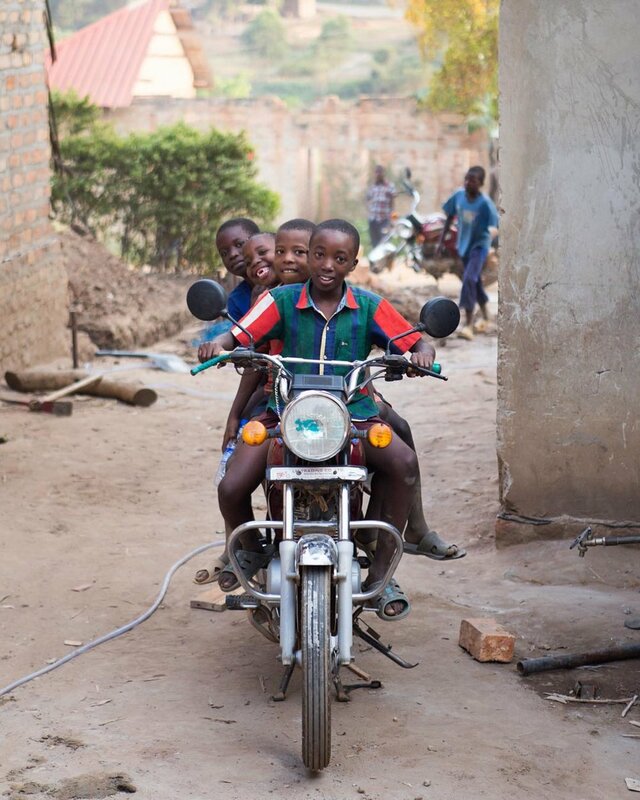 World Riders Foundation built their first school, which includes dormitories, classrooms, and a kitchen (The Boda Boda Project, shown here) at an orphanage in Uganda. "WRF is really focused on education." Mike explained that in developing countries without a public education system, schools are often tuition-based, putting education out of reach for vulnerable kids like those growing up in orphanages. 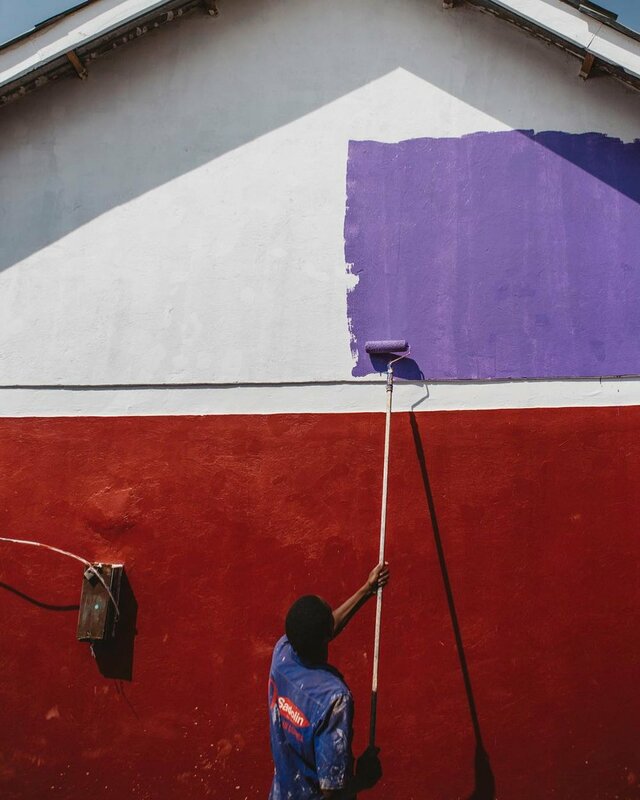 World Riders Foundation builds schools in cooperation with a local orphanage, which can then provide education free of charge for their own students, and charge tuition from the families in the community that send their kids to the school. The local orphanage or community is responsible for hiring teachers and staffing the schools. "We don't just throw up tarps and call it a school." The next school, the Maasai Project, will include classrooms for a primary school, a new kitchen, and a well. In our conversation, Mike referred to WRF as a “really small” organization. And maybe it is, but when I look at these buildings, and the vision of WRF, and Mike’s dedication, it really drives home the point how much can be accomplished with few resources. That’s why I’m excited for the Aningri Friction Collection to contribute to World Riders Foundation and their mission. 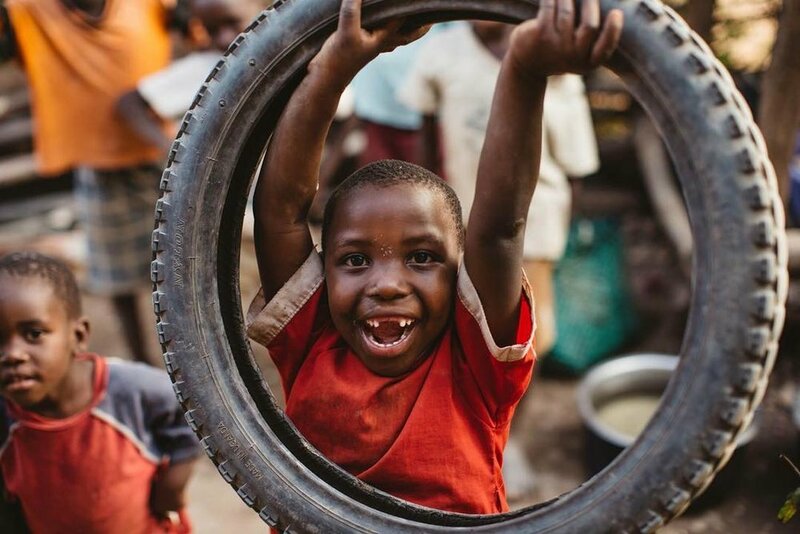 Ten percent is a small contribution, but with someone doing so well with limited resources, I’m confident that our reach, yours and mine, will go as far as it can possibly go.